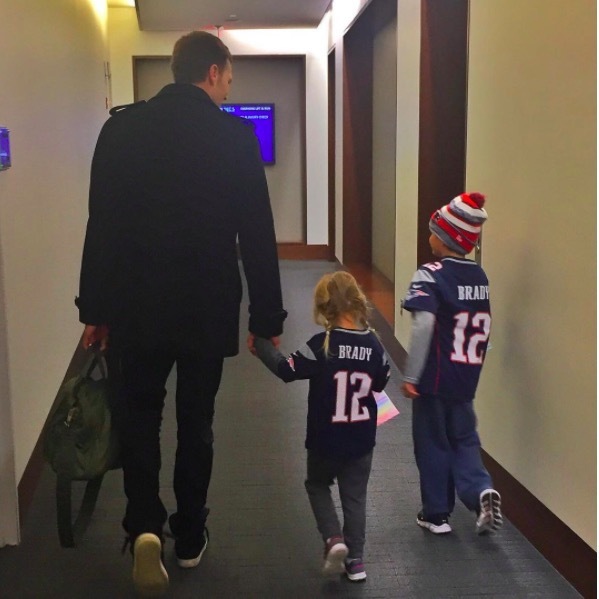 Gisele Bündchen took to Instagram to share a shot of her husband Tom Brady taking their two children, Benjamin and Vivian to work. In the shot, the New England Patriots quarterback walks down a hall with the two children. They both wear Brady jerseys to support their dad before his game. “❤️❤️❤️,” the supermodel captioned the photo. Bündchen recently revealed that she not only teaches her kids to eat healthy but to be environmentally conscious. The Brazillian-native and Brady married in 2009. Gisele Bündchen & Son Benjamin are the Super Mario Bros.